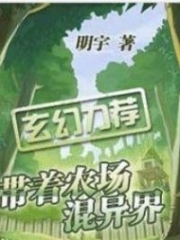 You’re reading novel Chaotic Sword God Chapter 314 - Division of People online at LightNovelFree.com. Please use the follow button to get notification about the latest chapter next time when you visit LightNovelFree.com. Use F11 button to read novel in full-screen(PC only). Drop by anytime you want to read free – fast – latest novel. It’s great if you could leave a comment, share your opinion about the new chapters, new novel with others on the internet. We’ll do our best to bring you the finest, latest novel everyday. Enjoy! s.h.i.+ Xiangran sneered as he shot a venomous glare at Jian Chen, “You’re lucky, I’ll let you go for now.” With that, s.h.i.+ Xiangren returned the Seal of Treasure Mountain to his s.p.a.ce Ring, but the barrier remained activated to protect himself. For the barrier that a Saint Ruler paid a heavy price to make be called a tortoise sh.e.l.l, s.h.i.+ Xiangran’s face went ashen as he heard Jian Chen. Upon hearing those words, Qin Ji, Jiede Wukang, Dugu Feng, and Tianmu Ling all began to smile unnaturally. “Hahaha, for someone to say the barrier left behind by a Saint Ruler’s Saint Force is a tortoise sh.e.l.l, this little girl has lived for some time, but this is the first time I’ve heard of such a thing. Little Brother Jian Chen is far too unique!” Tianmu Ling laughed. “Well then everyone, there’s not much time left. We should plan accordingly now that we have six Ruler Armaments here. We’ll definitely be able to destroy those magical beasts and reduce the casualties to an absolute minimum.” Qin Ji spoke. By now, the battle was over, that intense amount of energy that had rippled across the area for a kilometer had finally receded and many Earth Saint Masters had already returned. Many of the men there began to chat among themselves in quiet voices with a fear of speaking too loud. “There are a total of four magical beasts, each one of is a rare species and are individually very strong. It requires two of us with a Ruler Armament in order to fight one of them to a standstill. I can only guess that it would take three of us with a Ruler Armament in order to kill one of the magical beasts. We have six Ruler Armament users, meaning that we can kill two of them, the other two will have to be dealt with by the others.” Qin Ji spoke seriously. “We have plenty of Earth Saint Masters, with the last two magical beasts, they’ll be able to deal with them. Although no one else would have a Ruler Armament, the amount of Earth Saint Masters is enough to be able to handle any problem.” Dugu Feng said. “I agree to this plan.” Dugu Feng endorsed. “I agree as well.” Jiede Wukang spoke out. Three of the five experts had all agreed while the other two remained silent. “Brother Jian Chen, if we may have your opinion.” Qin Ji looked toward the yellow clothed girl and Jian Chen and then the four men behind them. With a single glance, he knew that Jian Chen and the girl were both the pillars of their group. “I see no problems.” Jian Chen smiled. The girl said nothing and only nodded her head in agreement. As soon as Qin Ji finished his speech, everyone stood up at once and began to cheer loudly. Each one of these men were at least at the Great Saint Master level if not higher. “If you are not an Earth Saint Master, then don’t throw your life away. 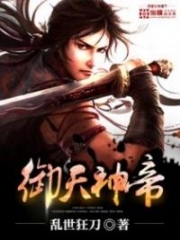 We are only inviting Earth Saint Masters to fight with us.” Dugu Feng yelled out loud, causing those of the Great Saint Masters to be displeased by this. After this, the Great Saint Masters could only retreat away from the campgrounds, leaving behind around seventy men. Each one of them were Earth Saint Masters with a strong background and a determined face. “Good, then let’s have everyone here so we can plan things out. I propose that we split up into four groups, each one will deal with a single magical beast, does anyone have any opinions?” Qin Ji spoke. Everyone began to ask their questions. “Just who will be in which of the four divisions?” A person asked. The inner group Qin Ji had mentioned were all standing right next to him. Some were the five experts, including Jian Chen’s group. It looked as though the men on the outside had the advantage, but that wasn’t it. Those in the inner group were all the strongest individuals, and a few of them could easily fight against three other men at their level of strength with ease. “Little brother, you are so handsome, this elder sister wants to be with you. 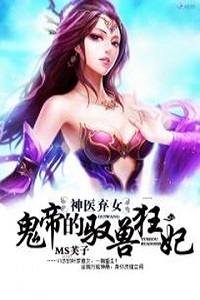 You wouldn’t refuse me would you?” Tianmu Ling walked to Jian Chen at a leisurely pace and a huff of air exhaling out of her mouth. “I’ve no objections either, sister Tianmu Ling is welcome to join.” Qin Ji spoke with a graceful smile toward her. “Hahaha, little sister, you look ill. Could it be you don’t want elder sister joining you? Hahaha, little sister, you don’t need to worry. Sister here won’t s.n.a.t.c.h this handsome brother away from you.” Tianmu Ling spoke with charm toward the yellow clothed girl. “You should speak less c.r.a.p.” The girl fumed as her eyes stared furiously at the girl as if she could spit fire from them. “Hahaha, little sister has a huge temper. That can’t do, little girl, you have to be gentle! Be considerate and men will love you. Like this, you won’t have any men that’ll treat you right.” Tianmu Ling seemed as if she was never angry and constantly laughed. “Hahaha, little brother’s words here are all too correct. Little sister’s temper is quite bad.” Tianmu Ling laughed sillily but stopped teasing her. The people around them looked on as if they were watching a performance with a small smile on their faces, but no one said anything. Afterward, the four divisions were quickly split up. 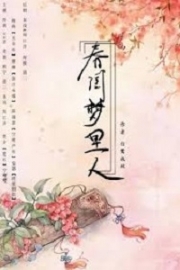 Jian Chen, the yellow clothed girl, Tianmu Ling, and Qin Ji were all in one division along with the two expressionless men with Tianmu Ling, Qin Ji’s three middle aged companions, Senior An, Yun Zheng, Qin Jue and Qin Xiao. The second division was composed of Jiede Wukang, Dugu Feng and several men. Only s.h.i.+ Xiangran was left alone in that group without any companions. While these two groups weren’t numerous in men, they still had three Ruler Armament users per division and extremely strong men. The seventy Earth Saint Masters were split into two divisions of thirty, but since each person in both divisions had no experience working with each other, these two groups were the weakest of the four. With that, everyone began to set up their tents. There was enough room for everyone to set up a tent because of the battle that cleared out a kilometer of land, becoming a flat clearing. As for the Great Saint Masters who were denied an invitation to fight, not a single one of them left. Together, they garrisoned themselves farther away in hopes that they could take advantage of the chaos and slip in. “Jian Chen, I’ve known this already, but my strength is far too weak to help you. Even if I were to go and fight, I wouldn’t be able to handle the aftermath from all of the explosions created from the battle. So I’ll wait outside for you all.” Qin Xiao spoke with no hesitation and spoke of his plan. Qin Xiao’s withdrawal was something that Jian Chen had expected. Even if Qin Xiao were to enter, Jian Chen wouldn’t be able to protect him. “What about you three?” Jian Chen asked the other three. “I’ll stay behind!” Qin Jue spoke out loud. “Then I’ll follow you in.” Yun Zheng said. 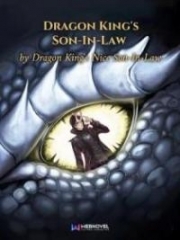 You're reading novel Chaotic Sword God Chapter 314 - Division of People online at LightNovelFree.com. You can use the follow function to bookmark your favorite novel ( Only for registered users ). If you find any errors ( broken links, can't load photos, etc.. ), Please let us know so we can fix it as soon as possible. And when you start a conversation or debate about a certain topic with other people, please do not offend them just because you don't like their opinions. You're reading Chaotic Sword God Chapter 314 - Division of People. This novel has been translated by Updating. 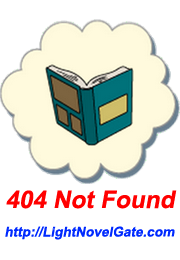 Author: Xin Xing Xiao Yao already has 11407 views. Current Time is Apr-24-2019 08:01:31 AM.